I took a desk-side meeting with what I believed to be just another great anti-aging skincare company. When we sat down, I was introduced to Chuda’s founder, Elena Ocher, MD, an NYC-based neurosurgeon, anesthesiologist, and pain-management specialist. That was my first clue this product was different. A neurosurgeon? I thought. How could I not trust everything she says? 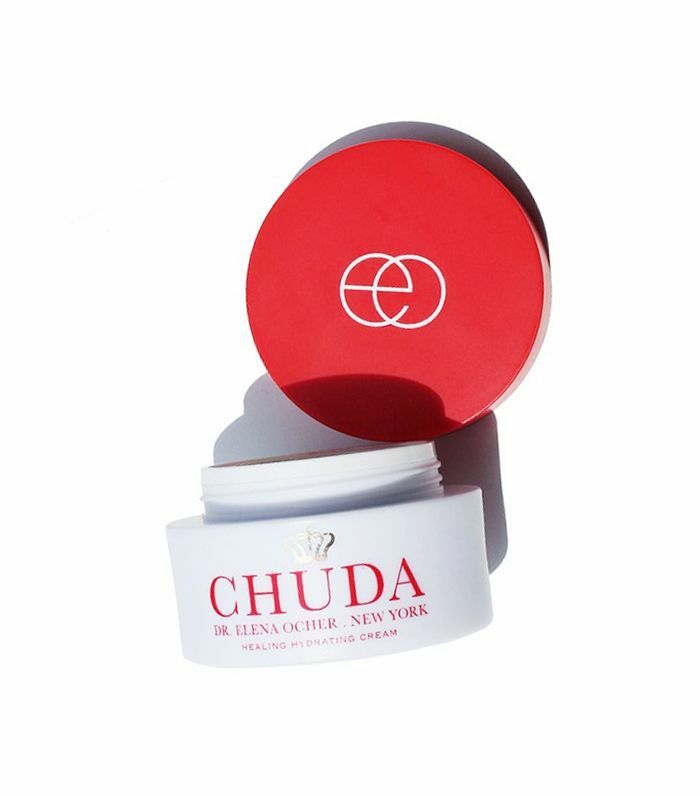 We discussed all the facts: Chuda’s Healing Hydrating Cream ($150) was created from the remedea compound with ingredients found in the mountains of Georgia—it’s a Turmanidze family secret formula of flowers and herbs that goes back a thousand years. Intrigued? I was too. Originally Ocher used the homemade blend to treat and soothe traumatized skin wounds (sunburns, windburns, etc). Now, with the help of a chemist, Ocher has combined the original compound with medical-grade ingredients to heal dry, damaged, or compromised skin in just hours. I was mesmerized by the idea but still skeptical. She sensed my doubtfulness and immediately pulled out her cell phone. “An iPhone doesn’t lie, right?” she mused. She went on to show me time-stamped photographs of patients during their recoveries. This was the kicker: Ocher showed me photo after photo of skin wounds, burns, and blisters, and then, hours later, almost completely healed skin. This is 12 hours after applying the product. I officially couldn’t wait to try the product, so much so that I perhaps instinctually wore a brand-new pair of sandals around New York the next day. Within minutes, I had those terrible, super-painful blisters that usually last for weeks on end. Okay, I thought. Here’s this product’s chance to wow me. I wrapped my blisters up with a generous amount of cream below a Band-Aid and went to bed. When I woke up, I unwrapped those bandages like it was Christmas morning. (I’m a beauty editor—these things are exciting.) Sure enough, as if by magic, my terrible blisters were gone, and in their place was smooth, supple skin. Believe me when I tell you this cream is worth its salt—the results speak for themselves. I’ve been using it on my body, face, and lips (it has plumping properties) ever since. It lives up to its claim that it can heal sunburns and blisters in a matter of hours. In fact, an editor in the office had an ill-fated experience with an at-home waxing kit and a pretty serious burn. I gifted her with a sample of Chuda’s cream, and her face was practically healed 24 hours later. I rest my very long-winded case. Have you tried any miracle products recently? Let us know in the comments below!